One night Don, a father of three, leaves his house for an evening stroll, only to wake up the next morning stoned, and sleeping in a hammock next to a young woman he barely knows. His wife, Claire, leaves the house on this same night to go on a midnight run — only to find herself bumming cigarettes and beer outside the all-night convenience store. DEAN BAKOPOULOS is an author from Detroit, Michigan. He is an assistant professor of English at Grinnell College in Grinnell, Iowa. 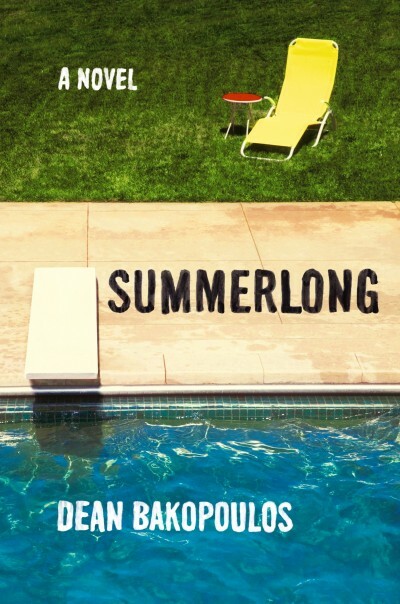 Dean’s third novel,Summerlong, will be published by Ecco/HarperCollins in June 2015. He is currently at work on a nonfiction book called Undoing, as well as a screenplay and a television pilot. Dean’s first novel, Please Don’t Come Back from the Moon (Harcourt, 2005), was a New York Times Notable Book; his screenplay adaptation of the novel is being developed for the screen by James Franco’s Rabbit Bandini productions; His second novel, My American Unhappiness, published in 2011 by Houghton Mifflin Harcourt, was named one of the year’s best novels by The Chicago Tribune. He received his BA from the University of Michigan and his MFA from the University of Wisconsin-Madison. In addition to teaching fiction and creative nonfiction workshops at Grinnell, Dean has taught creative writing at UW-Madison, Iowa State University, and the MFA Program for Writers at Warren Wilson College. The winner of numerous awards, including a Guggenheim Fellowship and a National Endowment for the Arts fellowship, Dean also reviews books for The New York Times Book Review and ​The San Francisco Chronicle.